For my outreach project I decided to teach solfege, and to show how the lyrics to opera are very similar to the lyrics of many popular songs. 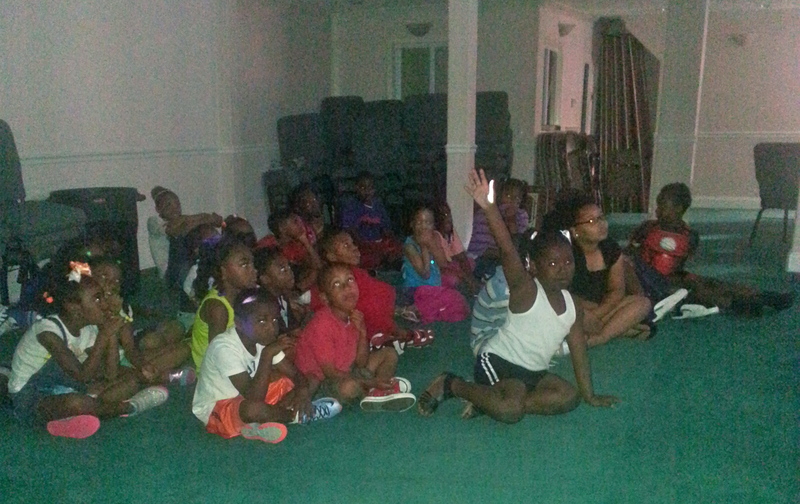 I presented my outreach project to the kids of Camp Impact, which is my church’s summer camp…because I wanted to introduce opera and aspects of classical music to children who never had the opportunity to learn about this. What did you include in your presentation? I presented my project in two 10-minute segments. 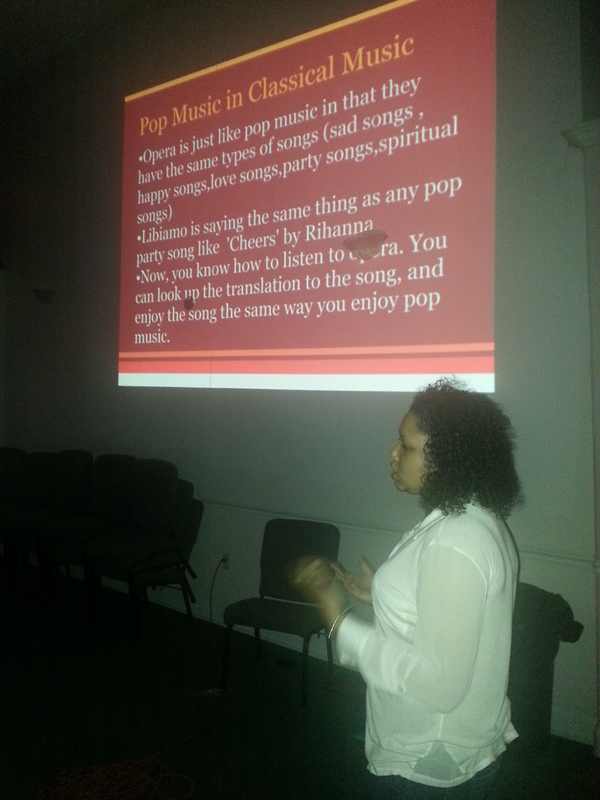 The first segment, I introduced myself as a classical vocalist, and that I would be teaching them solfege. I taught them that solfege is used to help musicians sight read and that sight-reading helps musicians to be able to pick up any piece of music and play it rather quickly. Next, I went through the solfege syllables with them as they repeated after me. 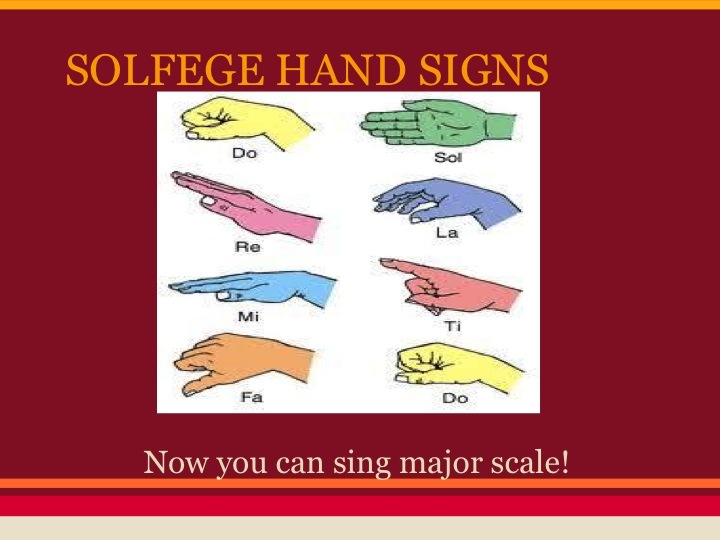 Then I showed them the hand signs that corresponded with the solfege syllables. To finish off the first segment we sung a “D “major scale together. For the second segment of the presentation, I talked to the older children of the group. I began that segment of my presentation by asking them what type of music they listened to, and what the music they listened to was about. They gave responses like gospel, R & B, Hip-Hop, and Pop. as they watch or listen to the song. To close the presentation, I asked if any of them had questions, and they asked to see a video of me singing. I showed them a video, but they wanted more and asked me to sing “in person”. Before I sang, “Give me Jesus,” I told them that there are songs about Jesus in classical music as well. What impact do you think this had on the students? After I finished my presentation the kids all returned to their classes separated by age. I was happy to hear the children excitedly departing trying to sing opera. As the parents started to come in to pick up the children many of the children kept pointing at me saying “Mommy she taught us opera today!” Also, the next day one of the teachers at the camp was teaching the children a gospel song, and the kids asked her if she could teach them opera. I was very pleased with the children’s responses and reception to my presentation as I got them excited to learn more about classical music -opera in particular. Through my presentation, I learned that children are extremely impressionable and that when you enthusiastically present something to them, they respond with enthusiasm. I also learned that if you relate something children enjoy to the information you are teaching, the children are more likely to pay attention and be captivated. What does being an arts leader mean to you? The children’s response to my presentation really showed me what it means to be an arts leader. They showed me that being an arts leader means sharing what you do with others in the community, and displaying what has inspired you to do what you do because the community cares and is excited by exposure and opportunities. Lastly, they showed me that being an arts leader means teaching some of what you have learned as an arts student, so that the passion for learning about the arts is ignited and to show that education in the arts has a reason to continue.